The front of Sage, with birds on the wing in the distance. Ironwood Barn, located just South of the Covered Round pen between the East and West Dressage Arenas. Our half-covered 24x24 mare motels are among the most popular of stabling options here at Spirit Equestrian. This stabling option provides basic protection from the elements plus amazing ventilation. Prices for this stabling option range from $850 to $900 a month. 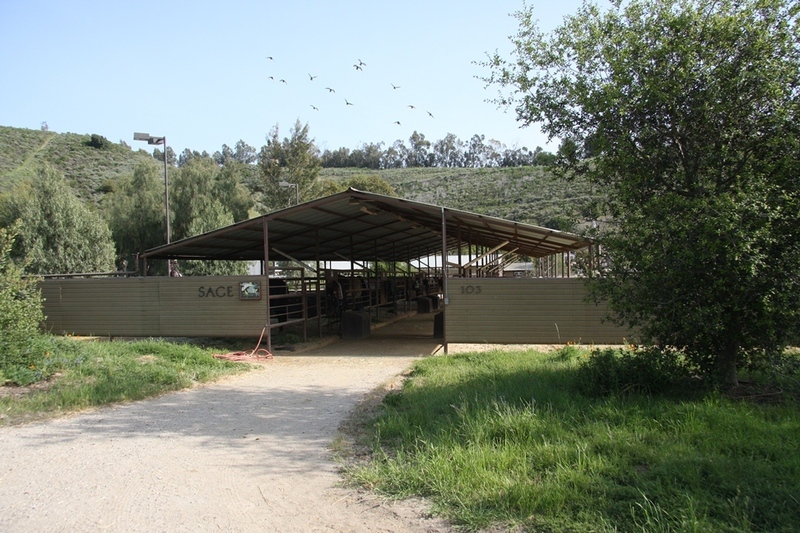 This stabling option is available in four barns: Sage, Cedar, Pine, and Ironwood. The exterior of a stall in Pine. Interior of Cedar Barn, located South of the East Dressage Arena.